Cyberverse is back and so am I. Long arm looks like she'll fit right in with my current collection. 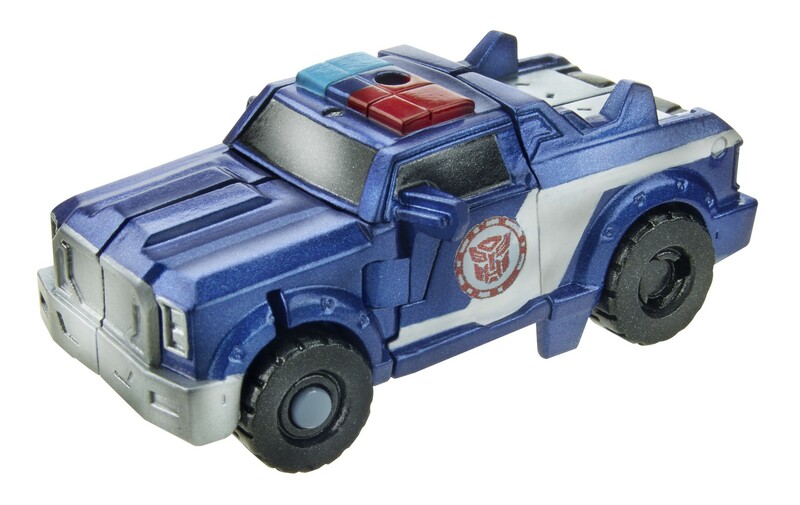 I'm looking forward to seeing if we'll get a Decepticon troop-building mold or two. Well it's nice to see Cyberverse returning in a new form. 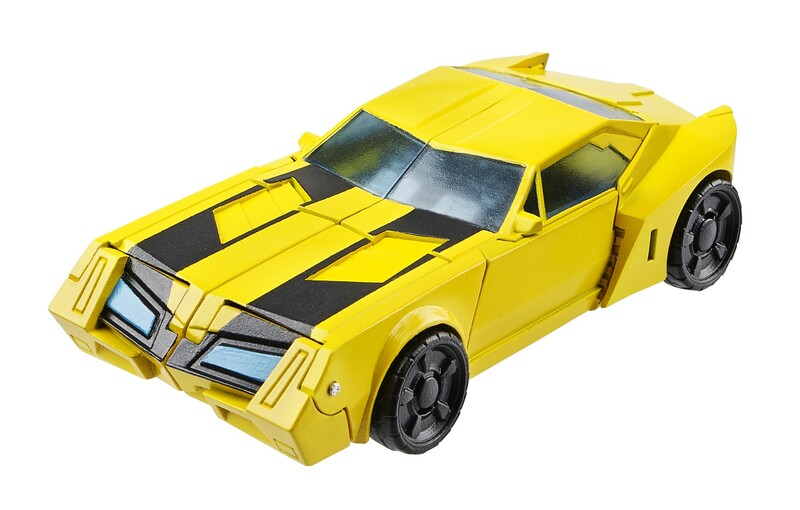 And that Bumblebee actually looks pretty nice. Very reminiscent of Animated. Because that would need more pieces, which would likely increase the cost of production. Definitely not a fan of the eyebrows. Can't wait to see more of this toyline, I'll echo what someone else said and say I'd like to see a Voyager version of that Optimus design, and a Deluxe Strong arm would be awesome too! 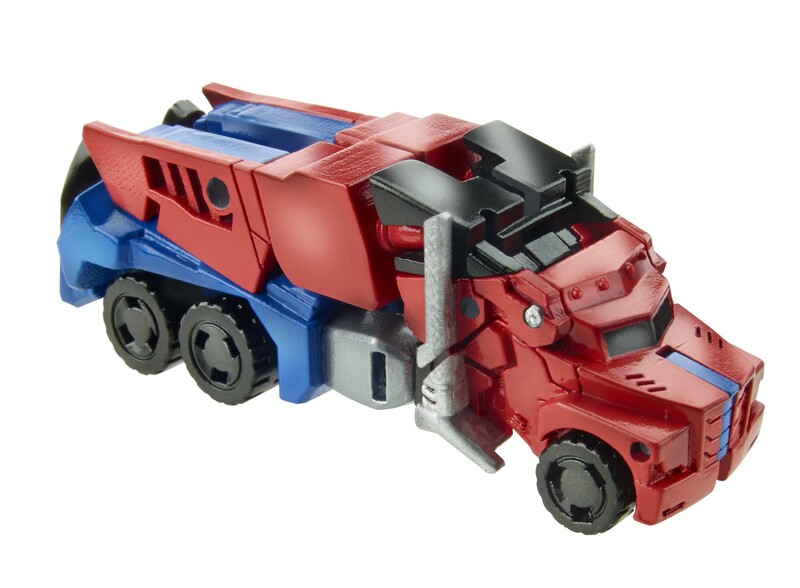 Is it just me or does Strong Arm share some similarities with Animated Sentinel Prime? However… Is it only me who´s concerned about him having half a car roof behind each leg? They seem to seriously impede his leg poseability… will he be able to bend his knees at all? Thank you, I thought I was the only one who saw and was worried by that. If nothing else it LOOKS awful. That's worse than back-kibble, it's like, thigh-knee-calf kibble. I may not see the cartoon because I do not have the hub but I am actually interested in the figures of its line. That Bumblebee does not look bad at all. Honestly, the Optimus Prime interests me the most. Something about the design gets me, maybe it is the trailer and chest. I would like a Voyager of the design. Believe me, we'll get one. 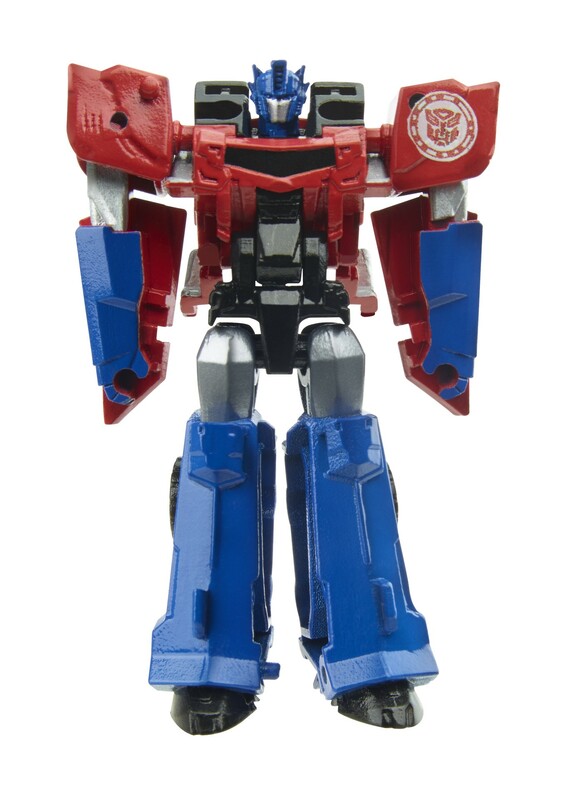 … is that Optimus Prime wearing bell bottoms or cuffed pants? Transformers back and blocky like the Energon series. Watch ever. Us fans needs to just go with the flow and enjoy what we see and buy. You know, it does…the Star Saber was never destroyed. Could 'Bee be holding the Star Saber or something different?? 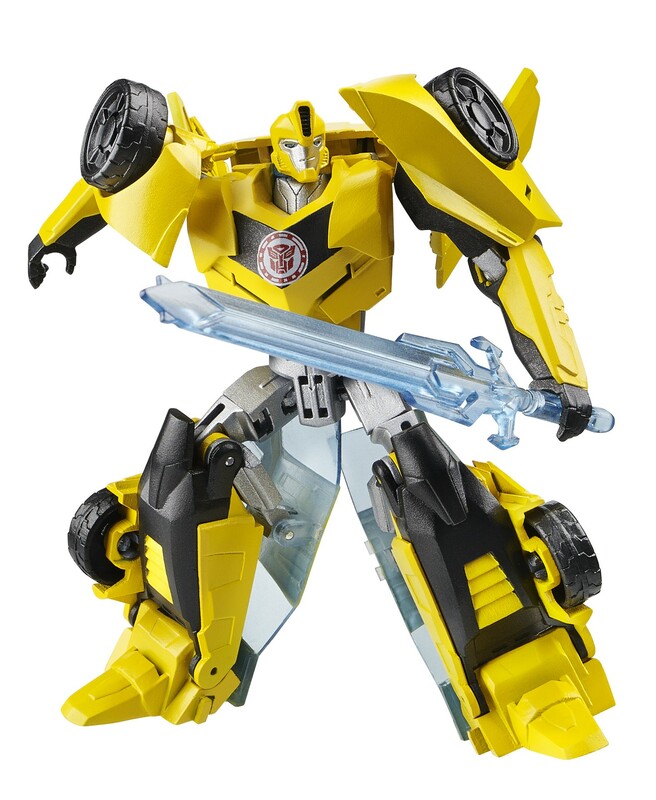 Hmm well Bumblebee looks a tad bit unfinished like it was a painted over resin prototype which it probably is. Yes, it probably is. Literally every official product photo, or on-show figure of unreleased toys, are handpainted resin prototypes. I love how the test models were all printed via Shapeways. And you can't tell me they're not. Look at the grain of the plastic and the paint on them. Those aren't molded. They're printed. Those of you who are Shapeways makers could probably verify that. I'm sure the final versions will all be molded, but these demo figure pics…those are printed. 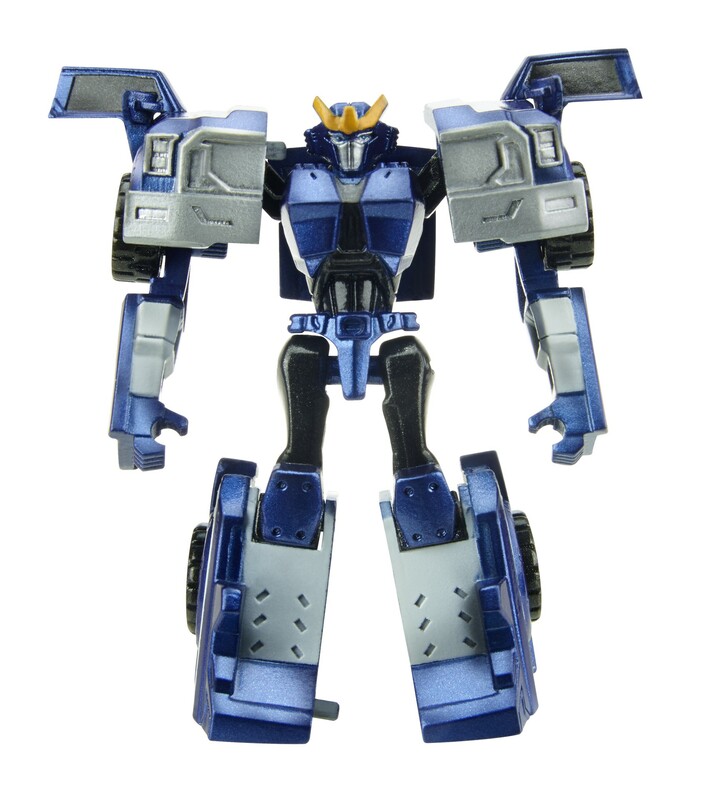 Hasbro creates resin prototypes out of the designs before committing themselves to getting the steel molds made for proper production – as those cost thousands of dollars. Not able to look them up right now, but I bet the videos are still on Youtube somewhere: designer diaries where they show the creation of Transformers toys. At one point they show their resin model printer. Dammit Hasbro. One minute I'm thinking I'm finally immune to your half-promise marketing wiles and then you make a bumblebee out of sexitoinium. Maybe the little blue pistol he has in the back of his waist from the preview clip we saw when he was escaping the Decepticons? i prefer melee. the sword looks pretty cool, after all.